Botox is a neurotoxin which causes paralysis of injected muscles. Botox was originally designed to treat conditions with overactive muscle tissue such as in hemifacial spasm and blepharospasm. While treating these patients, an interesting “side effect” was noted. Patients' wrinkles and age lines in areas injected with botox were noted to slowly disappear and soften. Today, botox is frequently injected in order to achieve this side effect. 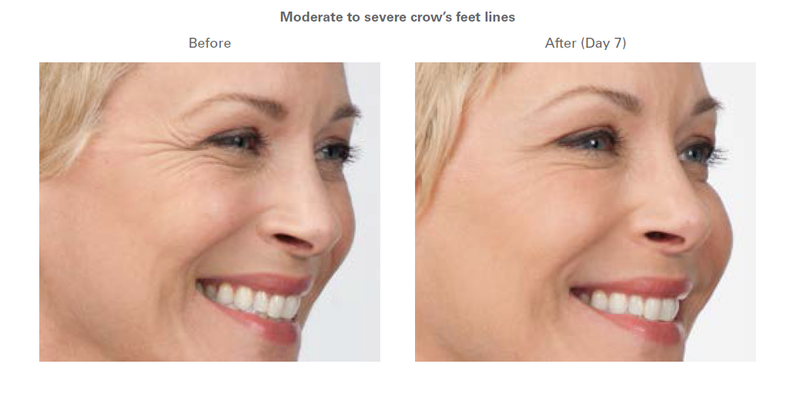 The upper, mid, and lower face are treated with botox to help lessen wrinkles leading to a more youthful appearance.